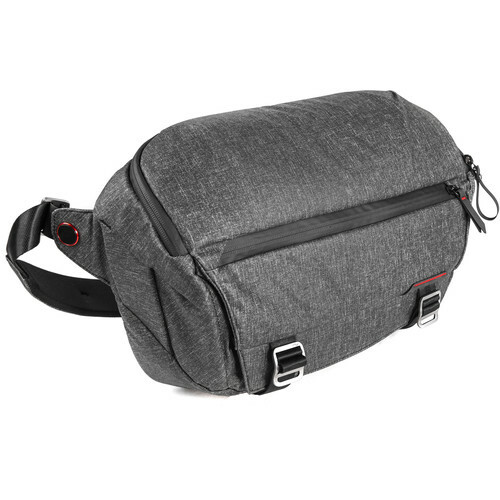 If you're on the go and you don't want to be burdened by too much gear or a bulky bag, take advantage of this ash Everyday Sling from Peak Design. 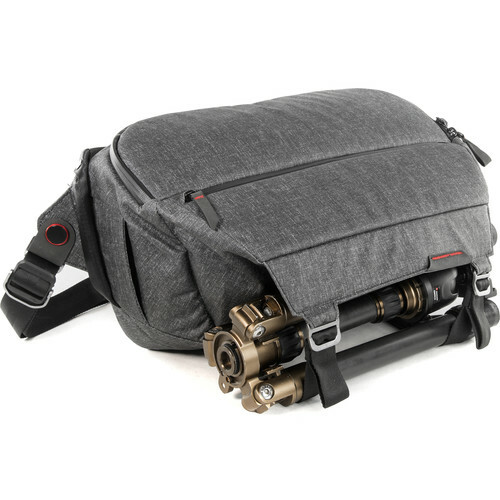 Made to allow you to carry your essential gear, the Everyday Sling can hold a DSLR or mirrorless camera body with 2-3 lenses, a 13" laptop, an 11" tablet, as well as a tripod that can fit within the compression straps on the exterior of the bag. 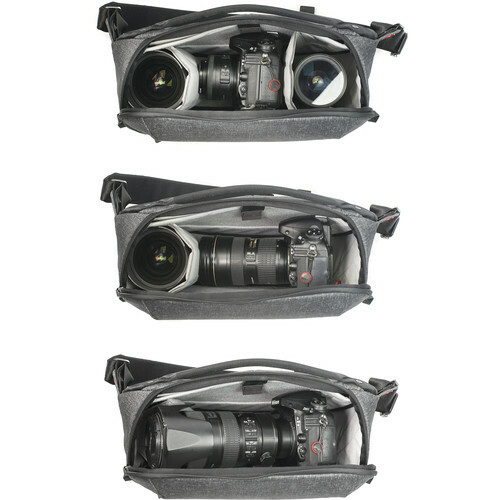 Two included touch-fastening Flexfold dividers can be positioned and arranged according to your contents. 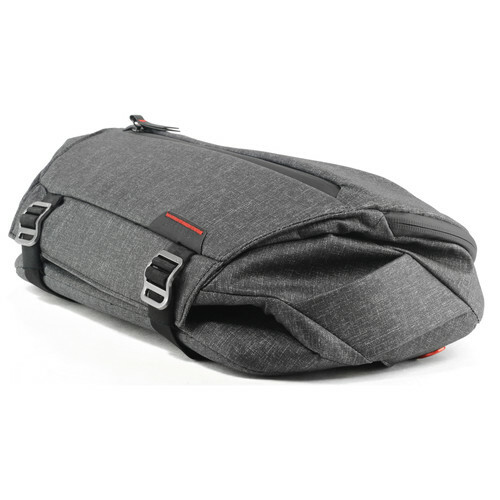 An expandable external pocket allows for quick access to small, often used items like your smartphone, wallet, and keys. 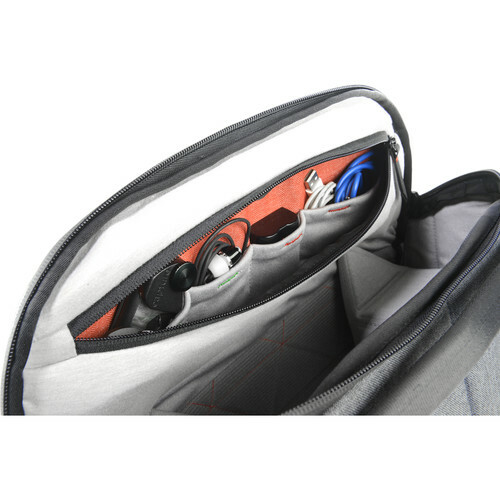 Further help with organization can be found within the main compartment where several slip pockets allow you to separate cords, spare batteries, and pens. Paid the item at 7am and received the item at 2pm on the same day. Great service. The bag is nice and perfect for my usage.